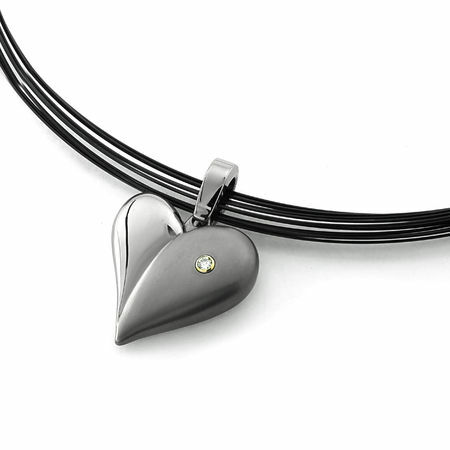 Show her you love her...with this beautiful titanium & diamond puffed heart. Notice the wonderful flow of the heart and the dual texture - so beautiful. The bail is also hinged allowing for free movement. Set with a .06ct round diamond. The 15 strand black titanium elephant hair necklace really adds to the designer look. Measures 16.5". Guaranteed to win her heart! The black titanium is unique and very good-looking. Definitely something that stands out. The elephant hair necklace is definitely not something that you see often--but I didn't find that I liked it much. After putting the pendant on a silver chain, I had the perfect piece. My wife doesn't wear dainty gold jewelry, and she doesn't wear the diamond pendant / gold chain I got her a few years ago. 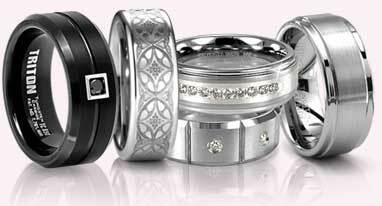 Since then I've kept my eyes open for some great alternative, but nice, jewelry. This piece really filled a niche and she loves it. It fits perfectly, matches her wardrobe whether its jeans and a t-shirt or if it's a nice evening dress. I was impressed with the quality and size of the pendant. It's not gaudy, but it's big enough that everyone can tell what it is. 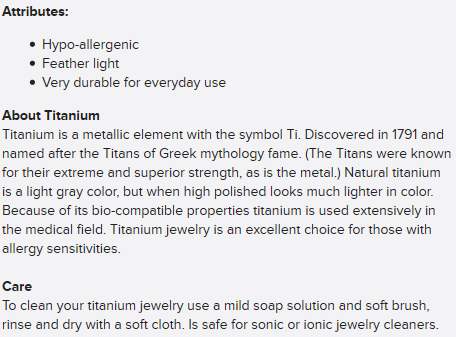 The only warning I'd have is that the elephant-hair titanium necklace is rather stiff and I'm afraid that, if not handled with care, it might crimp or bend out of shape. With proper care this shouldn't really be an issue.